The beauty of Disney's princesses is a sure draw with this fun licensed Disney Princess jump, a bouncy house with a bit of nobility. Participants are welcomed by Ariel, Cinderella, Tiana, Belle, Jasmine, Aurora and Snow White, ready for the ball. Visitors will rule this bouncy house kingdom with plenty of room for bouncing fun all day long. 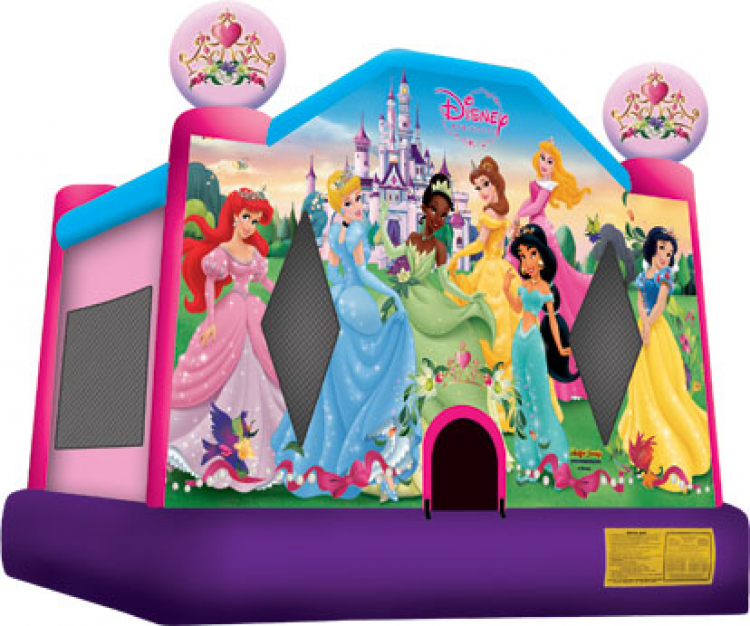 This Disney Princess bouncy house features a pair of 3D princess toppers, along with beautiful artwork fitting for royalty.